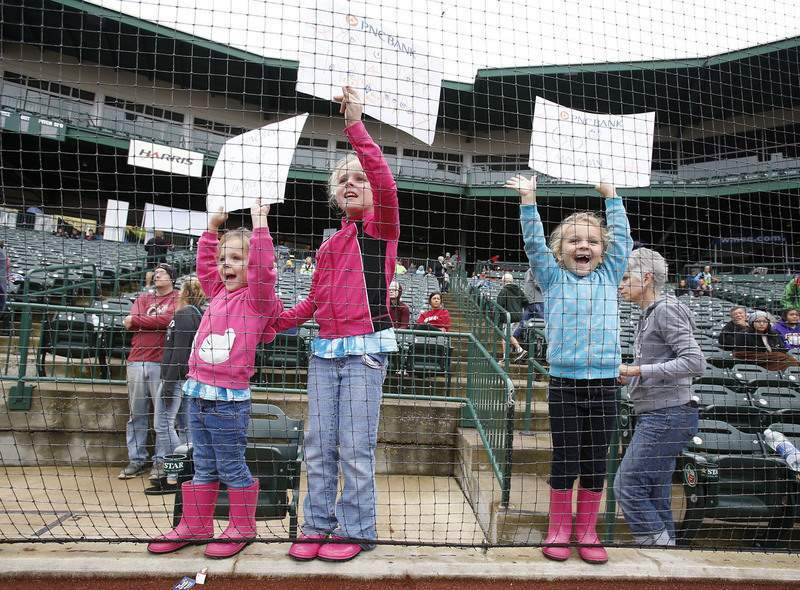 Photos by Chad Ryan | The Journal Gazette Caroline, 3, Olivia, 8, and Sydney Bessesen, 6, cheer for their mother, Mary, as she crosses the finish line at Parkview Field. Fort4Fitness half marathon participants run south on Calhoun Street. 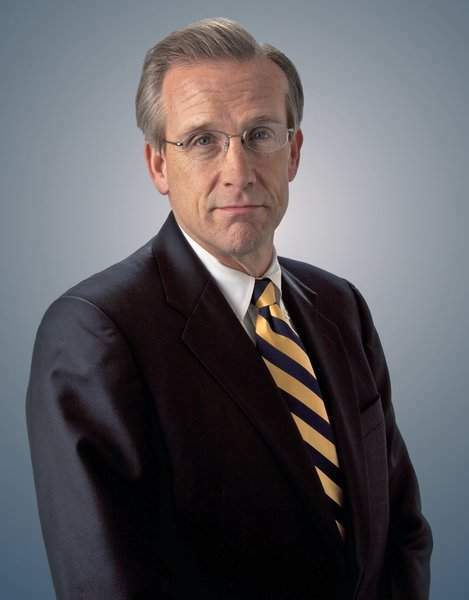 Then, Fort Wayne had taken a series of body blows to its reputation and prestige in national magazines and newspapers. We were called out for having a population with high rates of heart disease, obesity and diabetes, as well as being the least physically fit. Perhaps worse, Fort Wayne was seen as a place with nothing fun to do. The negative publicity softened our spirit and wounded our resolve. 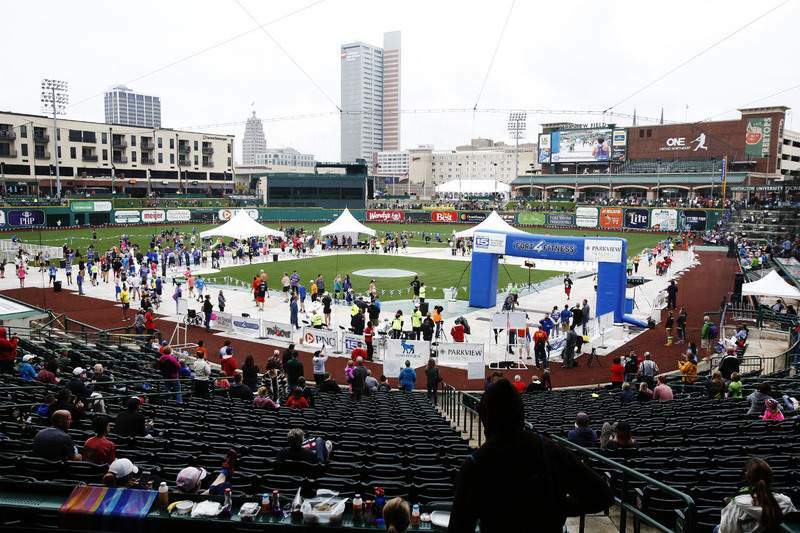 Since then, Fort Wayne has taken hold of its own community fitness and strength. Now, Fort Wayne can point with pride to the progress it has made and to the promise of a healthier and stronger future. 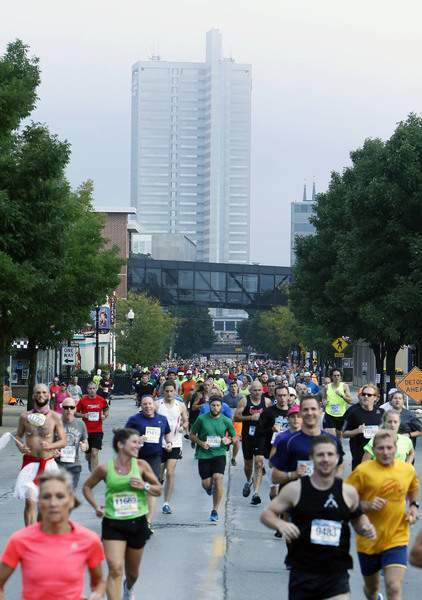 Fort Wayne now has a 5K and a 10K race nearly every weekend, about 100 miles of greenways and trails, a thriving regional YMCA, a growing Fort Wayne Runners Club and an active Three Rivers Velosport Club. Fort Wayne is now known for its extensive array of physical activities and an active culture. 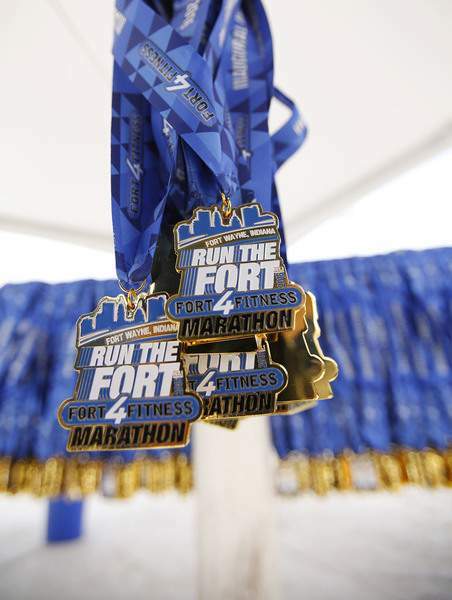 The Fort4Fitness Fall Festival running race, the Fort4Fitness Spring Cycle bicycle tour, along with the bicycle-centric Kickstart Festival in May, and now too many other health and fitness events to name throughout the year, demonstrate just how far our community has come. Fort Wayne is served by a growing cadre of locally owned retailers featuring athletic shoes, running and workout gear, exercise equipment, and bicycles of all sizes, shapes and types. Fort Wayne is home to growing numbers of amateur and professional swimmers, runners, cyclists and triathletes. Fort Wayne is also home to para-athletes training at the Plassman Athletic Center at Turnstone. Teams and individuals who trained here won gold, silver and bronze medals at the Paralympics in Rio de Janeiro. All this activity is changing how and what people think of Fort Wayne. Fort Wayne is now a place where people force change and not a place where change is forced upon them – a place known for its action, not inaction. There is much more work to do, and everyone can get involved. Health and fitness is something that each and every citizen can improve on their own. There are no politicians, lobbyists or bureaucrats standing in the way. There are steps to take, habits to change, dreams to fulfill. Certainly our community can again be the "City That Saved Itself" with the momentum that has been created these past 10 years. 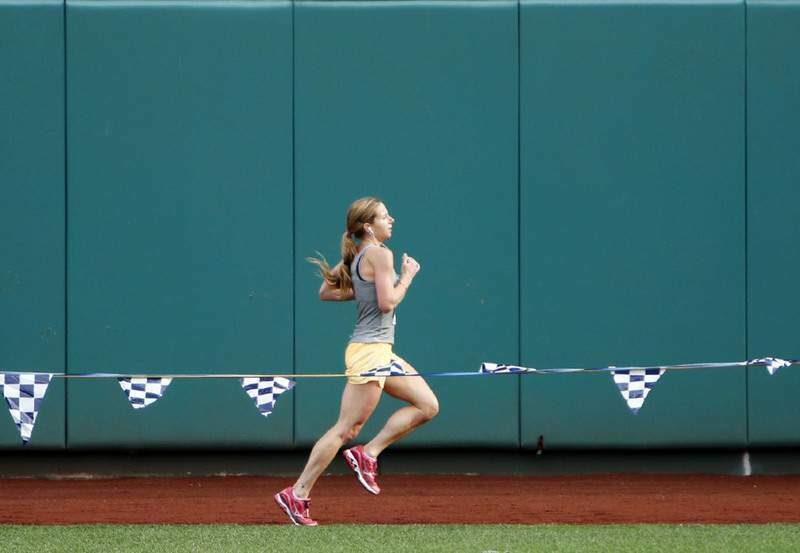 Focusing on the finish line again, I see determination, discipline and quiet strength transformed with a last step at home plate to triumph, exhilaration and joy. This is a simple formula that can be used on a community-wide basis, bringing Fort Wayne and Allen County the same result. We can continue on this path to greater health, greater fitness, greater wellness and greater strength. A greater community will result.